4 Beds 2 Baths 1 Partial Bath 2,599 Sq. 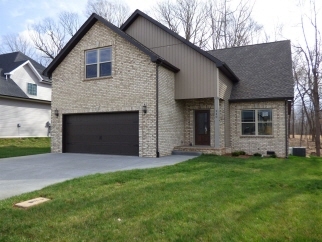 ft.
4BR/2.5BA new construction in Sango Mills. Huge great room w/hardwood floors. Oversized kitchen w/granite tops. Private master suite with tile bathroom. Upgraded lighting and plumbing packages - oil bronze package. Stainless steel Samsung appliances. Bonus room over garage-could be 5th bedroom. Deck overlooks mature trees-no rear neighbors.